This book is a collection of short humorous essays written by an author, "an old gent", who is now in what society calls "the golden age", hence the title Golden Gremlin. Check out my thoughts on this book and enter to win a copy and a $25 gift card! 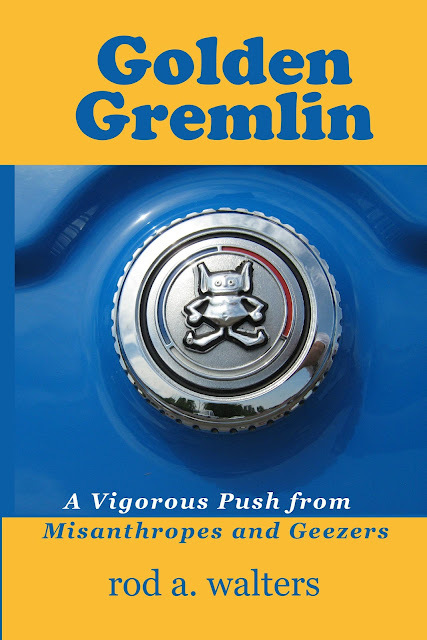 Written to make Dave Barry, Lily Tomlin, and Ben Stein laugh, Golden Gremlin: A Vigorous Push from Misanthropes and Geezers delivers the experience of a balanced life, and the wisdom to like most of it, and then laugh at the rest of it. What the heck, Barry lives in Miami, habitat of geezers, and Ben Stein is one. The world really needs that push, vigorous or gentle, from misanthropes & geezers, the world’s most valuable golden gremlins. Misanthropes pretend to not like or need other people, but in reality, they merely prefer their own company much of the time. Geezers, aside from that silly name, also like their own company quite well. Both share the virtue of seeing the world calmly. You get pointy bite-sized life pointers from these experienced gremlins, told in easy bite-size chunks. Laughter included in the price! Two out of three wouldn’t be bad either. Life is good! So laugh a little at yourself on the way through these pointy essays, and that will buy your laughing at the world’s simpler parts, guilt-free. This book is a collection of short humorous essays written by an author, "an old gent", who is now in what society calls "the golden age", hence the title Golden Gremlin. 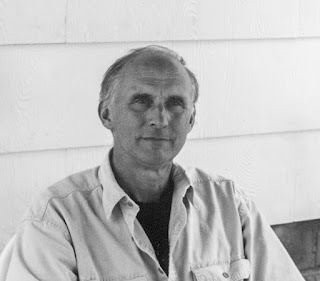 Filled with witty remarks, some sarcasm and a good dose of silliness, this book which began with Poppy stealing the Residence's gas-powered mower to get to his publisher, was a fun read. Having worked with seniors in a day center, I find that they have a unique sense of humor. They are no longer afraid to speak their mind and laugh at themselves and others. This certainly came through with these essays. Mr. Walters tackles a variety of topics, some of which had me in stitches and others which I didn't care for just because they are very much about the American life experience (such as the State of the Union piece) and you really need to be an American to appreciate the humor. Just like some Canadian humor is much more funny to said Canadian than a Southern American, for example. However, most of the well-written essays challenged me with new words I had never heard of (misanthrope, boppage, troglodyte, entropy...) and had me using my dictionary. Having been an Army officer, engineer, and administrative assistant, the author's experience in these fields is evident in these essays. The book is divided into 5 parts and I enjoyed the essays under the topics of NATURE and KITCHENS the most. If you like humor and a straightforward take on topics relevant to our day and age from an American senior with a quirky sense of humor, you will enjoy this breezy read with truths behind the funny and silly narrative. To read reviews, please visit Rod A Walters' page on iRead Book Tours. This collection sounds perfect for me since they are humorous and unique and I am old so ideal. Thanks. I love that this is so humorous! I'd love to read it! I love stories that are funny and witty! I cannot wait to read it! I love stories were you can laugh at yourself so this will be great! This sounds like fun. Even the warning had me laughing. I also found the book made me laugh!